Is a Golden Retriever right for you and your family? Want to know more information about goldens? We’ve complied together several helpful resources to help you and your family make the right decisions when choosing a golden or looking for more helpful information. Still have questions? Feel free to call or contact us today! Can’t get enough? Watch another video about Goldens! Golden Retrievers are so much more than just good pets! Eye Problems – Some of the genetic eye concerns include increased susceptibility to cataracts; entropion, which is when an eyelid turns inward, causing the lashes to rub against the eye; trichiasis and distichiasis, two conditions involving abnormal eyelash growth; and central progressive retinal atrophy, or CPRA for short, which causes the retina to deteriorate, impairing vision and sometimes leading to blindness. Joint Problems – Doggies of the golden retriever breed, like a good number of other large dogs, are genetically predisposed to certain joint problems. Hip dysplasia is a main concern. This is a joint deformity in which the top of the thigh bone doesn’t sit right in the hip socket. Golden retrievers also are prone to the similar condition elbow dysplasia, which, as you might conjecture, is when the elbow joint doesn’t fit together correctly. Both conditions also raise a pooch’s risk of developing arthritis. Cancers – Their genes leave them at increased risk of developing mast cell tumors, bone tumors called osteosarcoma, aggressive blood vessel tumors called hemangiosarcoma and cancer of lymphocyte cells called lymphosarcoma. It’s not known for sure how big a role genes play in these cancers, but a hereditary factor is obvious from their disproportionately high rates in golden retrievers. Other Conditions – Ear infections; allergies and allergic skin conditions; hot spots, more formally known as pyotraumatic dermatitis; obsessive-compulsive disorder; the seizure disorder epilepsy; hypothyroidism; gastric torsion, which is when the stomach becomes twisted; and heart disease in the form of a condition called subaortic stenosis. The Golden Retriever Club of America encourages all breeders to spend time with each client educating them on various topics related to responsible pet ownership. Furthermore, the GRCA states that it is the ethical responsibility to help buyers understand the specific breed they are buying. Buying a Golden Retriever is a long-term commitment and shouldn’t be an impulse decision. As with all pure-bred dogs, there is a long list of wonderful qualities that come with each breed. However, there are also a list of genetic predispositions that each individual breed is known for. Ethical breeders should be a resource for buyers to best protect them and their pet. Here at Syrah Goldens, we are here for you for the lifetime of your pet! This is a sample of the checklist of topics that will be reviewed during a typical puppy appointment with one of our team members. __________ I have received my new puppy packet. __________ I have received the articles educating me on the importance of delayed spay/neuter. __________ I understand the importance of NuVet vitamins for the health and immunity of a growing puppy. __________ I understand that golden retrievers can sometimes have diet related allergies. I have been informed that through the years several chicken, potato, ad grain allergies have been reported. I understand that a diet with no chicken, potato, and grains is best for my puppy. These foods are readily available and easy to find. __________ I understand the importance of carrying pet insurance on my pet for his/her lifetime. Veterinary care can be both costly and unplanned. Pet insurance provides coverage for the treatment and care of my pet’s future injuries and illnesses. Pet insurance is a requirement for the first 30 days and this is provided through Trupanion Pet Insurance. The courtesy insurance through Trupanion must be enrolled within 24 hours of taking my new puppy home. Although continued coverage is not mandatory, it is strongly recommended for my protection as Syrah Goldens does not reimburse for veterinary expenses. __________ I understand that my dog should be on prevention for flea and heartworms year round. My veterinarian will guide me on the appropriate treatment. __________ I understand that keeping my puppy out f public places until completing the puppy vaccination series is best to decrease exposure to parasites, protozoa, bacteria, and viruses. __________ I understand that I should keep my dog lean. An overweight dog is at high risk of joint problems and heart disease. A lean dog would be considered a 3-4 on a veterinary body condition rating. __________ I understand that I did my due diligence to purchase a dog from a breeder who screens for genetic joint disorders, cardiac problems, and eye disease. Although the parents have been certified for their hips by BVA, OFA, or PennHip this does not eliminate dysplasia from this breed and/or my puppy. Genetic screening only decreases the probability of progeny developing conditions during its lifetime; health screening for breeding stock does not diminish the possibility of offspring developing a condition in the future. Hip dysplasia is the number one predisposition in golden retrievers. Hip dysplasia cannot be bred out of the breed at this time as geneticists have not identified how to do so; it is a worldwide breed problem. 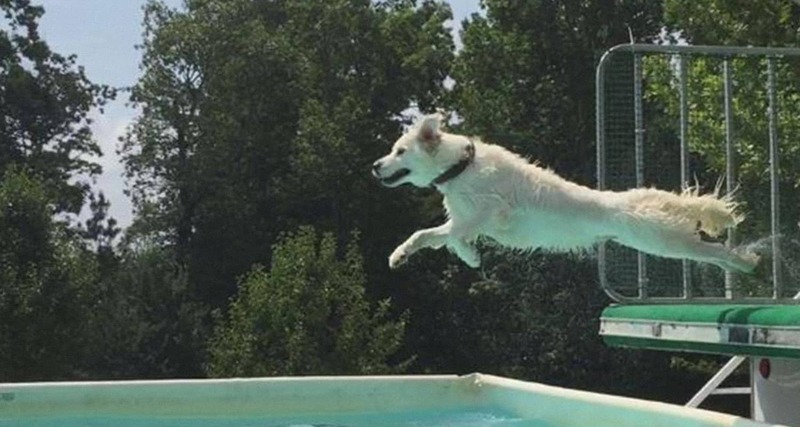 The Orthopedic Foundation for Animals reports that 1 in 5 golden retriever radiographs submitted for scoring came back with some degree of hip dysplasia. I understand that pet insurance can help offset expenses related to joint dysfunction if my puppy is one day diagnosed with a congenital or environmentally induced condition. I understand that most dogs who develop a mild to moderate joint dysfunction can live a perfectly normal life with very little medical intervention. __________ I understand the environmental precautions I should take to decrease the risk of joint problems in my puppy ie. Jumping, stair climbing, running, long leashed walks, diet, spay/neuter. __________ I understand that I am buying a pet and not a breeding dog. __________ I feel educated and prepared to take my new puppy home. __________ All of my questions have been answered. Need to understand our pricing?